Home and Family Counselling challenge you to take a brave leap into the sky and freefall to raise funds to provide counselling for low income families. Raise $750 and you get to skydive for free whilst providing support for your communities. 47% of New Zealanders undertake counselling at some time in their lives. 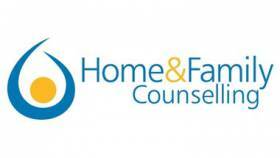 Home and Family Counselling has been around since 1893 and rely on fundraising to support their donation based professional counselling services. We had an awesome event - check out this skydiving action! Thanks to everyone who joined us for our Once Were Westies Boogies 2017 over Waitangi Weekend! Over the entire weekend there was 59 aircraft loads with a total of 761 jumps, of which 672 were sport jumps and 89 were tandems. The skydiver to do the most jumps over the 3.5 day period was Seb Wagner who completed a total of 23 jumps. Join Skydive Auckland for our Waitangi Weekend 2017 summer boogie! - Registration gets you access to 5 load organisers, use of two turbine aircraft, opportunity to participate in beach jumps at two awesome locations and thanks to our sponsors you could also win some great prizes! - Jump tickets can be purchased in advance during registration, or on the day in groups of 5 Jumps on Muriwai and Browns Bay beaches will be purchased separately. Spaces are limited, with priority going to Early Bird Regos. - Registration will be $99 from 21 January onwards. 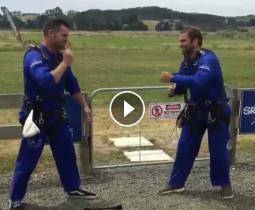 Radio Hauraki's Matt Ward is jumped out of an airplane with a "macgyvered" parachute! We all wanted to be MacGyver when we were young. Case in point: Jay Reeve & Matt Ward from the Hauraki Breakfast, Summer Edition. The all-new MacGyver is coming to Prime and it’s bigger, badder, and more MacGyver than ever before. To get in the spirit, Radio Hauraki decided to MacGyver something for real by making a parachute out of whatever they could get their hands on and then test it out by jumping out of a plane! 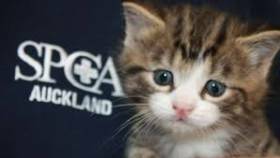 Jump to the Rescue with Skydive Auckland and raise money for Auckland's animals. Raise over $880 for SPCA and jump for free from 13,000ft.